Several AFP-IC committees are looking for eager and willing volunteers. 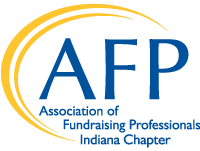 If you are looking to get more involved in the chapter or you're looking for ways to connect with other fundraising professionals, please consider joining a committee. If you are interested in volunteering for a committee, please contact Sara Nash, Chapter Administrator, at afpic@nashams.com or 317-824-0940. The Brown Bag Series Committee identifies the topics and facilitators for each of the monthly brown bag programs as well as assists with the execution of the programs. The communications committee oversees internal and external communications for the chapter, including the monthly newsletter, social media and press releases. The finance committee reviews the financial accounts of the association, including investment and Johnson Fund, and make recommendations as needed. The membership committee is responsible for several membership efforts such as recruitment, retention, the mentoring program, scholarships and volunteer placement. The nominating committee is responsible for identifying and setting the slate for the AFP-IC Board. The Philanthropy Awards committee is responsible for all facets of the awards process as well as the celebration where the recipients are recognized. This includes nominations, judging, marketing and event logistics. The programs committee identifies the monthly program topics and speakers as well as executes each of the programs. The scholarship committee is responsible for promoting scholarship opportunities, reviewing, and selecting the scholarship recipients. The sponsorship committee identifies potential sponsors as well as makes contact with and secures sponsors. Sponsorships are utilized for annual chapter programming, Spring Conference, Philanthropy Awards and other areas as necessary. The spring conference committee works with all facets in the execution of the Spring Conference.